Best Baha'i Jokes in the world! If you have one to share, please send yours to bhpurnell@yahoo.com. This is a "Hate Free Joke Zone". Thanks for the laughs! A leisurely Baha'i showed up late for work for the third time in one week. His infuriated boss yelled, "You should have been here at 8:30!!!" Scratching his head, he replied: "Why? What happened at 8:30?" or "My Last Lunch was Yesterday"
Now I'd love a glass of Perrier. Oh, my last lunch was yesterday. Now I'm longing for some Sara Lee. The Fast came up so suddenly. While the sun is in the sky. Big Macs and large fries. Now my lunches seem so far away. My last lunch was yesterday. If a movie star offers you a shameless night of passion, and your response is,"Um... I need to investigate your character", you might be a Bahá'í. If you get more excited by LSA than LSD, you might be a Bahá'í. If the only smoke you envision when you hear the phrase "joint feast" is from overdone tadiq, you might be a Bahá'í. If you think March Madness is the result of extreme hunger, you might be a Baha'i. If it's the Ides of March, your stomach growls, and you answer the pager on your belt, you might be a Bahá'í. climb a mountain on foot where there are no casinos, no golf course, no tennis courts, you have to stay quiet, stand in line, cannot take pictures, visit a lot of gravesites, and at the end of ten days they kick you out of the country, you might be a Bahá'í. A community member appeared before the LSA about a matter of significant personal concern. The Assembly, in response, consulted and proposed a thoughtful course of action. The petitioner listened carefully, then raised a series of objections, and anticipated difficulties in carrying out the suggestions. The following week, the petitioner returned to the LSA with another issue, and the previous week's scenario played out again, with the petitioner at odds with the Assembly. This continued for well over a month. Each time the friend presented some new problem, consultation ensued, and the friend raised objections to the guidance. By this time, the poor Assembly members were frustrated and in a general dither, not knowing how to assist the petitioner. After a month of meetings, the friend sought more guidance. And, once more, the petitioner presented a new problem. Frazzled, but willing to consult one more time, the believer was invited to step into the next room while the Assembly consulted, and was asked and asked to recite the "The Remover of Difficulties" prayer 95 times while the LSA members consulted. Q: How many Baha'is does it take to change a light bulb? A: 10: 1 to change the bulb, and 9 to consult about it. A: 12: 9 to consult about it, one to do it, and 2 to make tea. Q: How many Baha'is does it take to screw in a lightbulb? A: 2. One to screw it in, and one to bring refreshments. Q: How many Baha'i Youth does it take to screw in a lightbulb? A: One to hold it, the rest to move the world! "Dear friends- You are cordially invited to attend the upcoming..."
1. 1844? Army time for 6:44 p.m.
Q:  Why is Baha'u'llah the best interior decorator? A:  Because he can change abasement into glory. Q:  Why should Baha'is never use stain remover? A:  Baha'u'llah said, "Blessed is the spot." Two Baha'i milk glasses- one empty, the second the same, except for a straw sticking out of it- were conversing. The glass with the straw says to the other, "Everything was going fine. I was saying my prayers this morning, and then I said, "O God, make me a hollow reed..."
the Ascension of 'Abdu'l-Baha. She had invited all the local Baha'is. Rene, that the pastries on the table to the side were not to be eaten until the commemoration started. To make sure, she gave Rene the job of guarding them until an hour or so after midnight -- at which time she would invite the guests to help themselves. Though deep in thought, he agreed to mind the table. the Venetian background in one of his paintings. To hear each other better, the two wandered away from the crowd, in the direction of the forbidden baked goods. Without Descartes noticing, Vandyke starting munching thoughtfully on a pastry. 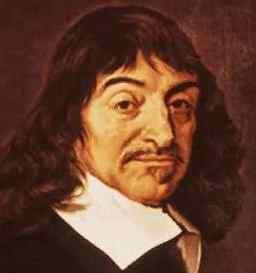 Suddenly Descartes snapped out of his thoughts and realised what Vandyke was doing. His reaction surprised Vandyke, who figured that Descartes surely must have just thought of something of great significance. had bequeathed him and, sure enough, there scrawled in Descartes hand was an expression of timeless insight, "I think they're for 1 am." A man was walking down a busy city street when to his surprise he saw a boy with a box calling out, "kittens, racist kittens for sale, get a kitten". The next day when he passed the same boy he was crying, "kittens, communist kittens, get a kitten today". Needless, to say, he was a little surprised when the third day the boy was shouting, "Kittens, get a nationalist kitten for sale". 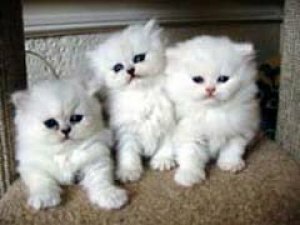 On the following day, however, and to the man's astonishment, the boy was calling out, "Bahá'í kittens, Bahá'í kittens for sale". He was totally intrigued by this new development, so he stopped and asked the boy why the change. "One day they are racists, the next they are communists, then nationalists. Why do you say that they are Bahá'ís today?" "Look at them," the boy replied, "on the fourth day they opened their eyes!"